The exclusion of Rishabh Pant was understood by some as the correct decision while many on social media are criticising the selectors. When the 15-member Indian squad for the ICC World Cup 2019 was announced and Rishabh Pant's name didn't feature in it, some people were surprised. 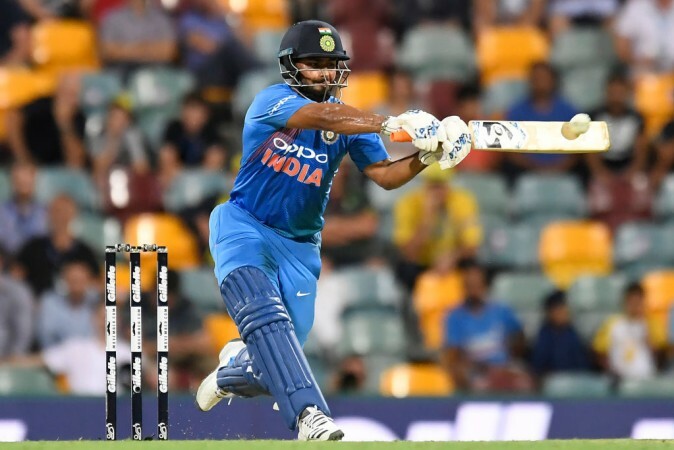 However, chief selector MSK Prasad made it clear that the reasons for Pant not being picked – despite his undeniable talent – was Dinesh Karthik's superior quality as a keeper. "Well, it's definitely a case where we have debated at length and all of us, in unison, felt that either Rishabh Pant or DK will only come into the playing XI if Mahi (MS Dhoni) is injured," chief selector MSK Prasad said. He then nailed home the point about Pant's keeping, "So at that juncture, it is a crucial match like the semi-final or an important game (of the World Cup), wicketkeeping also matters. So that's the only reason why we went ahead with Dinesh Karthik. Otherwise, Rishabh Pant was almost there." Indeed, Pant's keeping has come in for a lot of criticism. Even in Australia, he was guilty of missing chances while the recent home series against Australia too witnessed the left-hander committing errors. In fact, every time he made a mistake, the crowd responded by chanting 'Dhoni, Dhoni' much to the discomfort of the young Delhi lad. So, how did the fans and experts react to his omission from the World Cup squad? Let's take a look at some of the more prominent reactions on social media. Most people seem unhappy with the decision but they also saw the funny side of the story. Some also raised questions about the logic of selectors in not picking the Delhi Capitals' star.